The Boulder City Parks and Recreation Department’s men’s fall softball season wrapped up with a slam bang tournament Nov. 17 and 19. Everything from walks to walk off home runs and a couple of grand slams in between happened during the games. In the end, regular-season runner-up Pit Stop claimed the tournament crown over Duetto in the final, 14-9. Duetto was a surprise winner in the loser’s bracket final over regular-season champ Time to Mash, using timely hitting by Mike Jones and defensive gems by Garrett Calloway to score the upset. In the final, Duetto continued took a 5-2 lead after the second inning, but Pit Stop held strong in the third holding Duetto scoreless and by the end of the fourth inning built a 10-6 lead on the way to the victory. 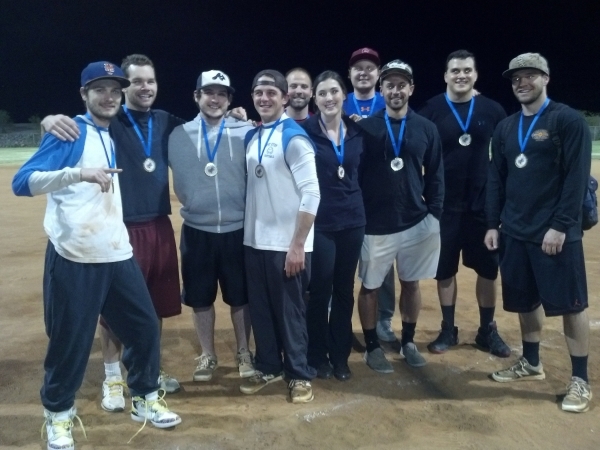 Softball play will resume for men’s and coed leagues in the spring. Boulder City Parks and Recreation youth basketball is ready to begin another season with clinics at 6 and 7 p.m. Dec. 1 and 2 at the recreation center, 900 Arizona St. The basketball leagues are open to boys and girls in the third and fourth grade, and fifth through seventh grade. There is a $39 fee per child, which includes practices, games and a team uniform. For more information, contact the parks and recreation department at 702-293-9256. 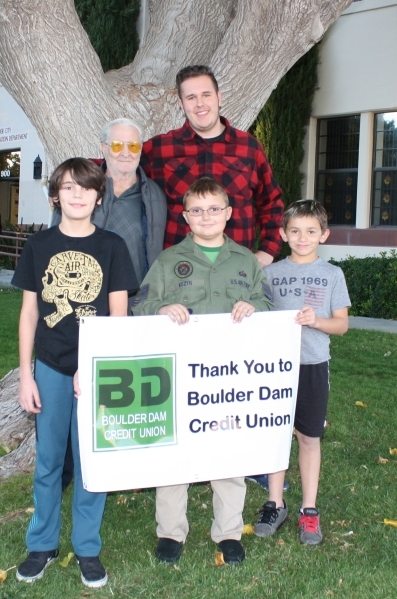 The annual Turkey Shoot, sponsored by Boulder Dam Credit Union, was held Nov. 17 and 18. There was an increase in skilled marksman this year, and determining the winner in some age groups came down to a single point between a winner and a runner-up, according to Steve Corry, recreation coordinator. This year’s winners: Cody Plott, first and second grade; Anthony Armstrong, third through fifth grade; Alex Hall, sixth through eighth grade; Jacob Tagliere, ninth through 12th grade, Anthony Tagliere, adult division; and Bill Ray Hall, senior division. Each winner was presented with a cash prize.